You can wear anything you want under the Choir gown. St. Timothy’s choir Led my our Music Director Nick Reynolds is a committed group of people that love to sing, lead worship and have fun. The choir is responsible for Sunday morning music ministries, both as a group and in the form of soloists or small groups. The choir offers at least one evening of special music for the congregation each church year. It also participates in Advent and Good Friday ecumenical services with other churches in the community. 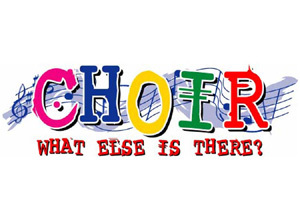 The choir’s repertoire consists of traditional (usually gospel standards) and modern sacred music (by composers). Anyone 12 or over that loves to sing is invited to be part of the choir. Practices are held from early September to early June.